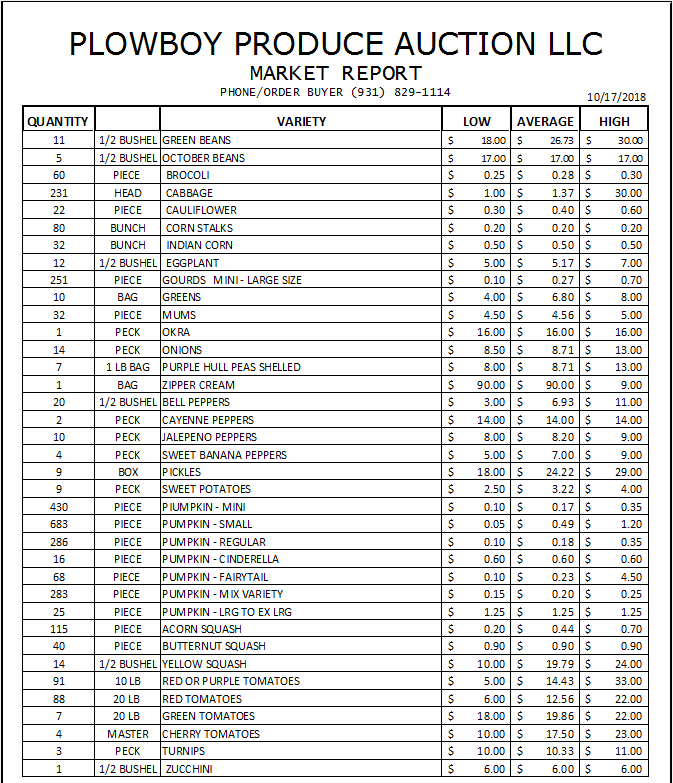 Here is our latest market report. Check back to this page to see updated versions periodically. Each item listed is what sold on that particular date. The three columns to the right are the lowest, average and highest bid of the day. Auctions happen Monday, Wednesday, and Friday at 1PM. Arrive early and grab a bid number as produce and bids vary from day to day.